Eczema affects food allergy, does it cause it? 1. Infants with an impaired skin barrier/ eczema, are more likely than to be sensitised to a variety of foods such as egg white, cow’s milk and peanut. 2. The more severe the eczema, the stronger the correlation to food sensitivity. 3. Repair of skin barrier therefore may reduce food allergy. My family is already moisturizing lots for our daughter, what about yours? Do you think moisturizing from young had reduced food sensitivity? Share in the comment! 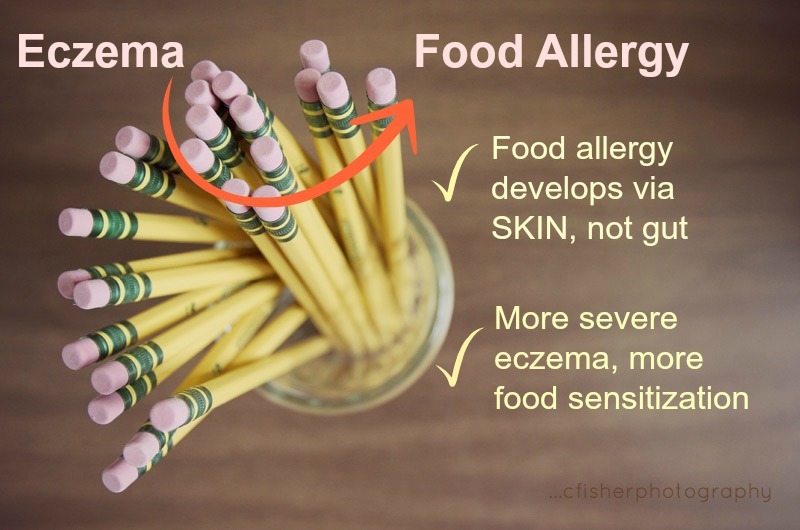 A recent study in Aug 2014 I came across that suggest an indirect relationship between filaggrin loss of function and food allergy – raises the possibility that skin function loss leads to development and persistence of food allergy.